What Exactly is the Secret Menu at Starbucks? The many creative ways to customize a latte, Frappuccino, macchiato, cup of tea, and other beverages at Starbucks is often referred to as the ‘Starbucks Secret Menu.’ Although plenty of baristas are quite capable of recommending inventive ways to enhance a particular drink, there is no real standardization when it comes to what some perceive as ‘secret’ customized drink recipes – with options that taste like your favorite candy bar, dessert, or even a childhood cereal. Despite the image of a “Secret Menu’ (complete with familiar references, logo and signature drink styles) floating around the Internet which continues to fuel the rumors that such a thing truly exists, there is no guarantee you’ll get the Neapolitan Frappuccino, Biscotti Frappuccino, or “the Nutella” of your dreams when ordering by name. Also, if you look closely at the image shown, the multiple misspellings of ‘Frappuccino’ throughout further confirm that this is not a menu put out by Starbucks’ management. Therefore, when you request a ‘secret’ Starbucks drink from this menu, and get an odd look from your barista, it isn’t because it is a secret, it’s because their training did not include instruction on how to make a Captain Crunch Frappuccino simply because it isn’t on the standard menu. Instead, the best way to enjoy something from the “Starbucks Secret Menu” is to know which ingredients (and how much) goes into making the specialty concoctions you’d like to order. Captain Crunch/ Crunch Berry Frappuccino: To enjoy a Frappuccino that brings back childhood memories of digging into a bowl of Captain Crunch with Crunchberries, ask for a Strawberries and Creme Frappuccino with hazelnut syrup. Interestingly, there is an ongoing debate on whether hazelnut- or toffee nut syrup (or both) will create the perfect blend, and that just might be a matter of personal opinion. One way to specifically request this drink is ask the barista to add caramel syrup (½ pump for a Tall, 1 pump for a Grande, 1 ½ pumps for a Venti); toffee syrup (1 pump for a Tall, 1 ½ pumps for a Grande, 2 pumps for a Venti); and hazelnut syrup (½ pump for a Tall, 1 pump for a Grande, 1 ½ pumps for a Venti) to a Strawberries and Creme Frappuccino. Fruity Pebbles Frappuccino: Ask a barista to add vanilla syrup, raspberry syrup, and classic syrup to a Strawberries and Creme Frappuccino to create a beverage that tastes like Fruity Pebbles cereal. A bit of orange mango juice will also enhance the overall fruity flavor. p of classic syrup. Increase syrup measurements by ½ a pump for each larger size. Caramel and Nut Chocolate Bar Frappuccino: Toffee nut syrup (1 pump for a Tall, 2 pumps for a Grande, and 3 pumps for a Venti) added to a Java Chip Frappuccino with a caramel drizzle in the cup and as a topping is believed to taste much similar to that of a Snickers candy bar. Caramel Cookie Bar Frappuccino: Better known as a ‘Twix Bar Frappuccino,’ ask for a Caramel Frappuccino with hazelnut syrup (1 pump for a Tall, 1 ½ pumps for a Grande, and 2 pumps for a Venti); java chips, and whipped cream blended in. The cup should be coated with a caramel sauce, and the drink is lastly topped with mocha drizzle. Fall-in-a-Cup Latte: Pumpkin flavors are a seasonal favorite in autumn, and it’s quite easy to overdo it on the Pumpkin Spice Lattes. To enjoy something similar that pays the ultimate homage to fall, order a Pumpkin Spice Latte with caramel syrup and Chai Syrup topped with whipped cream, pumpkin powder, and a drizzle of caramel. Christmas in a Cup Latte: To enjoy the festive flavors of winter holidays all year round, order a Cinnamon Dolce Latte with white mocha syrup (1 ½ pumps for a Tall, 2 pumps for a Grande, 2 ½ pumps for a Venti) and peppermint syrup (½ pump for a Tall, 1 pump for a Grande, 1 ½ pumps for a Venti), which is then topped with whipped cream. Thin Mint Frappuccino: When you can’t wait for Girl Scout Cookie season to arrive, satisfy a Thin Mint craving with a Tazo Green Tea Crème Frappuccino blended with chocolate syrup (1 pump for a Tall, 2 pumps for a Grande, and 3 pumps for a Venti), peppermint syrup (1 pump for a Tall, 1 ½ pumps for a Grande, and two for a Venti), and java chips. Another Girl Scout Cookie-inspired favorite is the Samoa Cookie Frappuccino, which is recreated by ordering a Mocha Coconut Frappuccino made with 2 pumps of caramel syrup and extra coconut flakes blended into the drink. Caramel drizzle as a topping is optional. Cake Batter Frappuccino: Start with a Vanilla Bean Frappuccino, and request one pump of almond syrup for a Tall, 1 ½ pumps for a Grande, or two pumps for a Venti to enjoy a guilt-free cake batter fix. It is not uncommon to find that a Starbucks does not carry almond syrup, where in which case, hazelnut syrup is an acceptable substitute. Additionally, some consumers have heightened the drink’s appeal by asking a barista to add a cake pop (if available) into the mix before blending the ingredients. Candy Cane Frappuccino: Order a Vanilla Bean Frappuccino with 1 pump of peppermint syrup for a Tall drink, 1 ½ pumps for a Grande, and 2 pumps for a Venti. Biscotti Frappuccino: Out of all the Starbucks Secret Menu drinks, the one with the most controversy surrounding it is probably the Biscotti Frappuccino. This off-the-menu item is made by purchasing a package of biscotti cookies separately and requesting the barista to blend them into a Frappe. The question arises whether or not baristas are actually permitted to add biscotti to the blender, and an even deeper assessment has been that using biscotti with nuts poses an allergy risk for other customers. Therefore, don’t be surprised if this request is ultimately denied. Banana Cream Pie Frappuccino: The combination of a Vanilla Bean Creme Frappuccino with vanilla and hazelnut syrups, whipped cream and a whole banana (a separate expense), will create a taste experience similar to eating a slice of banana cream pie. Prefer apples? Your barista can create an Apple Pie Frappuccino, which starts with a cream base filled to the first line, apple juice filled to the second line, 1 pump of Cinnamon Dolce syrup for a Tall (1 ½ for a Grande and two for a Venti); and 1 pump of caramel for a Tall (1 ½ for a Grande and two for a Venti). The drink is then topped with whipped cream and a drizzle of caramel. If allowed, request ground-up biscotti as a crunchy topping. Hot Butterbeer Latte: In order to truly appreciate the meaning behind this whimsical drink creation, you’d have to brush up on your Harry Potter. Butterbeer is a special, non-alcoholic drink (for humans) mentioned throughout the Harry Potter book/movie series. To enjoy a Starbucks version, tell the barista to add 2 pumps each of caramel syrup, toffee nut syrup, and Cinnamon Dolce syrup to a Tall whole milk steamer, which is then topped with whipped cream and salted caramel bits. Syrup measurements increase to 3 pumps for a Grande and 4 for a Venti. Also, in order to achieve just the right consistency for this drink recipe, it is highly recommended to opt for whole milk instead of swapping for skim or 2% milk. Grasshopper Frappuccino: If your favorite ice cream flavor is mint chip, or you’re a fan of Grasshopper cookies, order a Mocha Frappuccino blended with java chips and peppermint syrup (1 pump for a Tall, 2 pumps for a Grande, and 3 pumps of a Venti). Cinnamon Roll Frappuccino: To satisfy a cinnamon roll craving without actually eating one, ask your Starbucks barista to add white mocha syrup and Cinnamon Dolce syrup (one pump for a Tall, two for a Grande, and three for a Venti) to a Vanilla Bean Crème Frappuccino, which is then topped with Cinnamon Dolce powder. Zebra Mocha: The combination of a White Chocolate Mocha and a regular mocha is often referred to as a ‘Zebra Mocha.’ This Starbucks drink has many other names, such as a ‘Penguin Mocha,’ ‘Marble Mocha, and ‘ Black and White Mocha’. Chocolate Covered Strawberry Frappuccino: Ideal for a Valentine’s Day splurge, start with a Strawberries and Creme Frappuccino with added java chips and a topping of mocha drizzle. Strawberry Cheesecake Frappuccino: Ask a barista to add strawberries and milk to the bottom line with a crème base, vanilla bean powder, white mocha syrup, and Cinnamon Dolce syrup to make a Strawberry Cheesecake Frappuccino. The exact recipe for a Tall order is 2 pumps crème base, 1 scoop vanilla bean powder, 2 pumps of white mocha syrup, and 1 pump of Cinnamon Dolce syrup. Increase each measurement by 1 for each larger size. Raspberry Cheesecake Frappuccino: Adding raspberry syrup (1 pump for a Tall, 1 ½ pumps for a Grande, and 2 pumps for a Venti) to a White Chocolate Mocha Frappuccino will create a drink with a raspberry cheesecake flavor. To satisfy a sweet tooth, up the syrup amount by ½ a pump for each increase in size. Triple C’s: Aptly named for various reasons, a Triple C’s consists of a Cinnamon Dolce Latte with added caramel syrup and chocolate mocha syrup – ( ½ pump each for a Tall, 1 pump for a Grande, and 1 ½ pumps for a Venti). However, as with every Starbucks Secret Menu Drink, being able to direct your barista on what goes into making the drink will most likely save you both a lot of time, energy, and frustration. Marble Mocha Macchiato: Ask your barista to add White Mocha to the bottom of a cup (with no whip), and a shot of espresso on the top with mocha drizzle, to create this marbled drink. Cookies & Cream Frappuccino: A White Chocolate Mocha Frappuccino blended with java chips and a dash of peppermint syrup creates a cookies-and-cream effect. A similar drink for cookie lovers to consider is the Oreo Frappuccino, which blends a Double Chocolate Chip Frappucino with white mocha sauce (instead of regular mocha). The drink is then topped with chocolate whipped cream. To achieve a drink with more of a crème than chocolate cookie flavor, ask a barista to blend a Vanilla Bean Frappuccino with java chips, which is then topped with mocha syrup or cookie crumbles (or both). Cookie Dough Frappuccino: To enjoy a guilt-free cookie dough indulgence, start with a Chai Creme Frappuccino with soy milk and 2 pumps of Cinnamon Dolce syrup for a Tall drink (2 ½ pumps for a Grande and three for a Venti). Blend the ingredients with java chips and whipped cream. Add a chocolate whipped cream topping and a drizzle of mocha syrup. Red Velvet Frappuccino: Also called a ‘Red Tuxedo,’ order a half White Mocha and half regular Mocha Frappuccino blended with raspberry syrup (1 pump for a Tall, 2 pumps for a Grande, and 3 pumps for a Venti). The drink is then topped with whipped cream. S’mores Frappuccino: Starbucks can recreate a campfire favorite when you order a Grande Java Chip Frappuccino (or double chocolate chip if preferred) with 1 pump of Cinnamon Dolce syrup, 1 pump of Toffee Nut syrup, and whipped cream blended in. The drink is then topped with whipped cream, and Cinnamon Dolce sprinkles. Nutella-Inspired Specialty Drinks: There are two primary ways to satisfy a Nutella craving when ordering from the “Starbucks Secret Menu.” The first is called The Nutella, which is a Café Misto with added mocha syrup and hazelnut syrup, and a few drops of caramel drizzle. The measurements for both syrup flavors are 1/2 pump for a Tall, 1 pump for a Grande, and 1 ½ pumps for a Venti. Another related drink to consider is the Grande Nutella Frappuccino, which is made with a regular Coffee Frappuccino with 2 pumps of mocha syrup, 1 pump hazelnut syrup, and whipped cream blended in. The drink is then topped with whipped cream. A caramel drizzle is optional. Ferrero Rocher Frappuccino: To enjoy a beverage that delivers the crispy, nutty, creamy and chocolaty decadence of Ferrero Rocher candy, ask your barista to craft a Double Chocolate Chip Frappuccino (or Java Chip Frappuccino) with added mocha syrup (2 pumps for a Tall, 3 pumps for a Grande, and 3 ½ pumps for a Venti) and hazelnut syrup (1 pump for a Tall, 1 ½ for a Grande, 2 for a Venti). Add a hazelnut drizzle and top with whipped cream. To enhance the nuttiness of the drink, add nutmeg powder. For an extra chocolate-flavored rush, add mocha drizzle. The Coldbuster: Also referred to as “The Medicine Ball,” your barista can brew a tea creation geared towards fighting the sore throats and sinus flare-ups associated with the cold and flu season. With the recent change to Teavana Tea being served in Starbucks, an updated recipe includes a Venti Cup filled with one bag of Peach Tranquility and one bag of Jade Citrus Mint tea. Add half hot water and half steamed lemonade to the cup, and a bit of honey for its anti-microbial and healing effects. Some choose to request a pump of peppermint to cap off the drink. It is also recommended to sip the Coldbuster while it is as hot as you can take it without burning yourself, in order to reap the most soothing benefits. The Dirty Hippy: A Dirty Chai Tea Latte is a chai tea latte with an added shot of espresso, and when it is made with soy milk instead of regular milk, it is commonly known as a Dirty Hippy. Mojito Refresher: While holding the lime wheels until after blending the beverage, start with a Cool Lime Refresher, and add 1 pump of classic syrup for a Tall (1 ½ pumps for a Grande and two for a Venti), and ½ pump of peppermint syrup for a Tall (1 pump for a Grande and 1 ½ pumps for a Venti). Add ice and blend ingredients to create the non-alcoholic version of this popular island drink. Purple Rain Refresher: Ask your barista to add Cool Lime Refresher to the first line of a cup, followed by water or lemonade to the second line. Blend the ingredients, and slowly add raspberry syrup (3 pumps for a Tall, 4 pumps for a Grande, and 6 pumps for a Venti) to the drink, which is then topped with a lime. • The “Short” Drink: Choose a smaller, less expensive option to having your Starbucks coffee served by ordering a ‘Short’ drink, which some baristas will tell you is not a secret, but instead, a size not widely advertised at the chain. • The ‘Trenta’: The largest size available at Starbucks in the United States is the Trenta, which is only available for iced drinks, and provides 31 ounces of beverage. Ordering this larger size will cost you roughly $0.50 more than a Venti. • A Green Eye: Adding an extra shot of espresso to a regular drip coffee is nothing new, but for the ultimate rush, order a Green Eye (sometimes referred to as a Blue Eye), which includes three shots of espresso. A Red Eye equals one extra shot, while the Black Eye has two. • “Super Cream” Frappuccino: If you’re a fan of whipped cream, ask for a ‘Super Cream’ Frappe, and half a cup of whipped cream is blended in your drink. • French Press: If you ask, Starbucks will brew any of the coffee sold in their establishment in a French Press. • Affogato-Style Frappuccino: The chances of your barista knowing what an “affogato-style” Frappe means is greater than with any of the other requests mentioned here, which means a shot of hot espresso is added to the top of your beverage (instead of it being blended in). Since the majority of Starbucks Secret Menu items are dreamed up by baristas and coffee lovers from all over the world, there are a few things to note if you want to get the most out of your Starbucks coffee experience. One of the number-one complaints a Starbucks barista has about people coming in with ‘secret menu’ requests is that most have no clue about what they are ordering. It is important to remember that the above-mentioned names for ‘secret’ Starbucks drinks are not universal, and certain concoctions could be called several different things, especially from one city to the next. Additionally, even if a barista is familiar with a reference to a ‘secret’ drink, keep in mind that one barista’s understanding of what goes into something like an Oreo Cookie Frappuccino may differ from the next. Want to make life easier for both of you? Ditch the creative names, and memorize the ingredients and ratios for specific sizes so that you can tell a barista exactly how to make a Starbucks Secret Menu drink. For more complicated recipes, write your request on a slip of paper to save both the barista and yourself the time and energy of going back and forth in a fog of miscommunication. Also, expect to pay a little extra when ordering the ‘secret’ drinks at Starbucks. Don’t be surprised when a barista charges you for every syrup, sauce, and powder used to make one of the specialty beverages mentioned above. 4 Grilled Salmon Recipes – Health + Flavor! Tired of the typical (rather dull) lemon and butter grilled salmon dish? We’ve got great news: these 4 zesty, fresh grilled salmon recipes will make you fall for fish all over gain. But wait, it gets better: we’ll show you how salmon is packed with health enhancers … from mood boosting brain benefits and wrinkle-free skin to cancer prevention and heart health! Salmon meals don’t have to be predictable. Bring this classic fish staple to life with surprising tastes of brown sugar & soy sauce, lemon & dill, ginger, and more! Before we get into the mouth-watering details, we’d like to share why salmon is one of the healthiest foods out there, as well as which type of salmon to choose to avoid contamination. Salmon has an unusually high concentration of the omega- 3 fatty acid, DHA. Many researchers consider DHA to be the most important fat in the human brain! This incredibly potent boost of DHA makes salmon the #1 healthiest fish in the sea and a powerful addition to your diet. The health boosting benefits of omega-3 fatty acids are so extensive, we should really write a full article on the topic! We know you’re eager for those tasty grilled salmon recipes, so we’ll do our best to give a short and snappy overview. Adding omega-3s to your diet, via fish or supplements, significantly improves brain function, nourishes hair, skin, and nails, keeps your heart healthy, protects your eyes, prevents cancer, and soothes the symptoms of PMS in women. Whew! With such outrageously positive health claims, it almost seems too good to be true. We’ve got news for you: it’s the real deal, and it’s an essential component to attain your happiest, healthiest self. 1) Brain = Improved memory in Alzheimer’s patients, mood regulation for bipolar disorder, recovery from depression, lower levels of aggression, and improved learning and focus for children with ADHD. 2) Beauty = Nourishes hair follicles and dry scalp for shiny, flake-free locks, reduces acne, and prevents wrinkles. 3) Heart, Eye, and Women’s Health = Decreases the risk of heart attack, stroke, heart arrhythmia, macular eye degeneration, and dry eye. Reduces pain of PMS and menstruating. 4) Cancer Prevention = Helps prevent onset of colorectal cancer, prostrate cancer, breast cancer, leukemia, multiple myeloma, and non-Hodgkins lymphoma. Farmed salmon are fed grain products, such as corn and soy (most of which are genetically modified), artificial coloring and chicken meal. This diet is extremely unnatural for fish, and so makes them sick (whenever you eat something sick, you are harming your own body!). Due to overcrowding, farmed fish are exposed to more diseases (and so, are given more drugs). Farmed salmon have low levels of omega-3s while wild caught salmon’s levels are very high. For Mercola’s full article on farmed vs. wild salmon, click here. Choose wisely when selecting the type of wild salmon, too! The absolute cleanest, purest type of wild salmon is wild Alaskan salmon. When tested for contaminant consumption risk, wild Alaskan salmon was found to be in the lowest risk category for wild caught salmon. So, now you’re totally hooked on the astonishing health perks of salmon and armed with the details on choosing the wild caught variety. Let’s get you those scrumptious grilled salmon recipes! This recipe is both salty and sweet. Directions (makes 1 ½ pounds of fish): 1) Dust your fillets with lemon pepper, garlic powder and salt on both sides. 2) Stir together soy sauce, brown sugar, water and vegetable oil in a small bowl. 3) Pour your soy sauce and sugar mixture you created into a shaking bag. 4) Put your fish in the bag with the sauce ingredients. 5) Refrigerate your marinated fish for at least two hours. 6) Preheat grill and oil the cooking grate. 7) Place salmon on the warm grill and cook for 6-8 minutes on each side. Tip: When done, the fish should easily flake with a fork. Be careful not to overcook it. A surprising twist on the classic lemon and butter salmon dish, this recipe adds dill for a refreshing burst of flavor. Good- to- Know Cooking Tip: You can use salmon steaks instead of fillets to avoid them falling apart when cooked. If not, be sure to avoid a mess by cooking grilled salmon in foil or on a seafood cooking rack. Directions: 1) Preheat your grill. Combine the lemon juice, zest, oil, dill and garlic in a large shaking bag. 2) Add salmon into the bag and mix it around while rubbing the fish. 3) Refrigerate to marinate for two hours. 4) Make sure all salmon fillets or steaks are thoroughly covered with the rub.5) Wondering how long to grill salmon? When you place the salmon on a hot grill, you need to cook it about 4-5 minutes on either side. Tip: You can tell your fish is done when it easily flakes with a fork and is light in color. The brown sugar coating of this grilled salmon steak recipe makes it seriously sweet, while the mustard adds a pop of tangy tastiness. Directions: 1) Fire up your grill until your coals are red-hot. 2) Wisk together the brown sugar, hot mustard and soy sauce in a medium bowl. 3) Transfer 1 tablespoon of the first three ingredients into a second smaller bowl. 4) Then, add the rice vinegar to it and set it aside. 5) Brush one side of the steaks with half the glaze in the medium bowl. 6) Place the fish slabs glaze down onto the grill. 7) Cook until slightly charred, approximately 4 minutes. 8) Brush the unglazed side the same way you did the first side. 9) Turn fish steaks over and cook for 5 minutes longer than you did on the first side. 10) Once salmon is slightly opaque in the center, remove it from grill. 11) Remove the cooked fish from heat and place on plates. 12) Spread the remaining glaze over each steak and let them stand for a few minutes. The hint of ginger in this grilled salmon dish creates a touch of zesty spice. Note: It’s highly recommended that you use a grill basket to prepare this dish. Otherwise, cook it in a broiler. Directions: 1) Mix together the ginger, garlic power, soy sauce, orange juice and honey. 2) Place the onions in a separate bowl and chill until you need them. 3) Cook the salmon on the grill for 10 minutes on each side after you coat the grate with olive oil. 4) Periodically brush the pieces of meat with the ginger sauce you prepared. 5) Remove the fish from the grill when done. 6) Sprinkle chopped green onion over the top. Yes, you’re doing a huge favor to your health by eating salmon, but grilling food creates some sneaky health hazards. Read our Top 4 Tips for Green Grilling to find out how to make grilling healthy (and eco-friendly … we need to keep the environment healthy, too!). 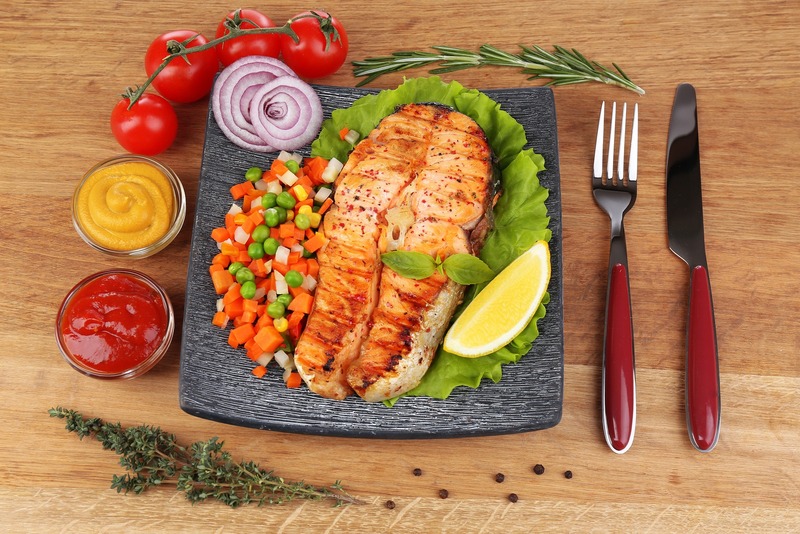 We hope you enjoy these delightful grilled salmon dishes and the perks of those omega-3 fatty acids: hello, sharp brain, shiny hair, and healthy heart! Canning Summer Veggies: Make Flavors Last! Does home canning sound like a chore? A task reserved for only those flawlessly organized and pulled-together? If so, you better prepare yourself for this – wait for it – canning is so easy and even (dare we say it?) downright fun. Everything tastes sweeter when it’s had the chance to ripen under the summer sun. While true, it’s less than pleasant to find yourself up to your ears in zucchini, peppers, and cucumbers. 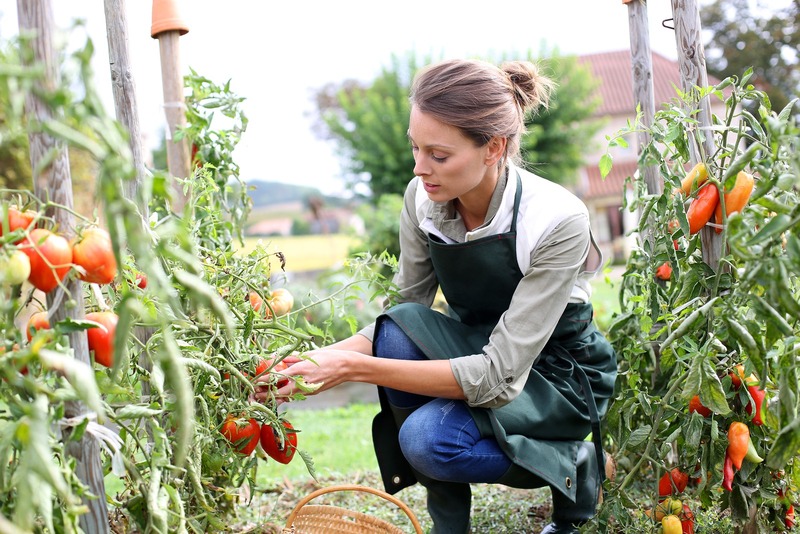 A flourishing garden may provide a welcome bounty of food, but sometimes we just can’t eat it fast enough! Don’t let those fresh flavors go to waste: home canning is a wonderful way to preserve your favorite summer veggies. Store-bought canned goods are often loaded with preservatives. DIY canning ensures you enjoy the most nutritious produce all year long. Another downside to buying canned food in stores? They are expensive! 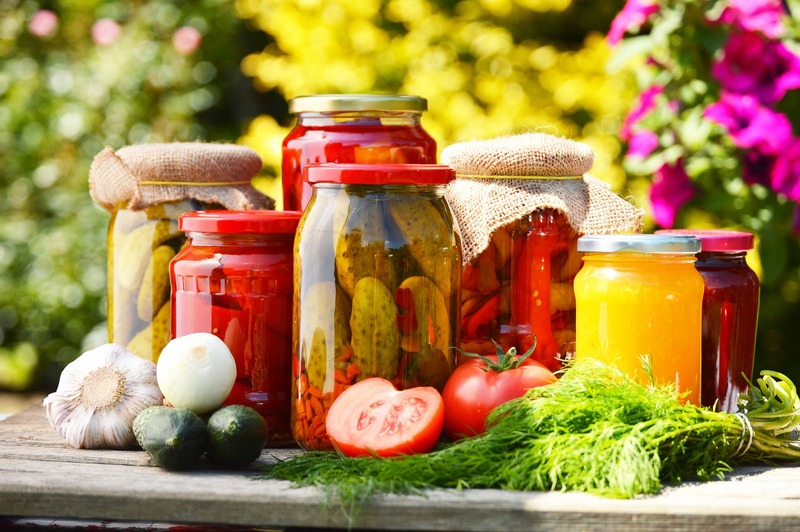 For a frugal summer, stock up on jars and jars of homemade canned vegetables at a fraction of the price. Pressure canners heat food to 240-degrees Fahrenheit, destroying bacteria that can cause food poisoning. They’re easy to use, but be sure to read their instructions and safety information. 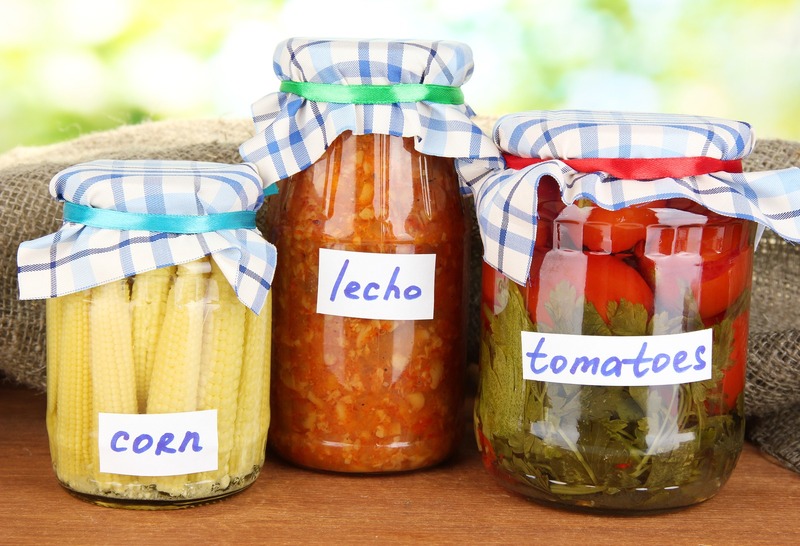 Salt isn’t necessary for safe home canning, though it will preserve your food’s fresh flavor. Table salt will work fine, but canning salt keeps your food’s color bright. 1) Clean your pressure canner with a quick swipe of vinegar and inspect it. Pay special attention to the pressure gauge. If it has been dropped, cracked, or submerged in water, it might not be accurate. Your local agricultural extension office can test it for you. 2) Wash and inspect jars, lids, and rings. Unlike with water bath canning, you don’t have to sterilize your jars before you pressure can. Fill your jars with hot water to keep them warm and set them aside. Filling a cold jar with hot canning material can cause jars to shatter. 3) Add water and rack to your pressure canner. This step varies based on the canner. Follow your own canner’s directions. 4) Put canner on stovetop over low heat to get water started while you fill jars. 5) Prepare your vegetables according to your recipe. Most pressure canners come with recipes, but you can also find instructions online or in books on canning available at Amazon. 6) Empty the warm water from your jars and fill them with vegetables. Always allow at least one-inch of “head space,” the empty space between the top of your canning materials and the jar opening, to allow for expansion. Use a non-metallic spatula to eliminate air bubbles and wipe the jar edges clean. 7) Put lids on your jars. Make sure the sealing compound, which is usually an orange, slightly tacky ring around the inner edge of your lids, is facing down. Then screw on the lid rings. 8) Place your jars in the canner on the rack. Make sure your canner’s lid vent pipe is open before closing up your pressure canner. 9) Process your jars according to the canner’s instructions. Be mindful of adjustments needed for high altitudes. 10) When processing is complete: move canner away from hot burner. Wait for pressure to drop. This can take an hour or more. Afterward, open the pressure regulator and vent. Allow your canner to cool another 10 minutes before opening it carefully. 11) Use jar lifter to remove jars from canner. Place them away from drafts to cool. Make sure not to tilt them. This can take up to 12 hours. When they have cooled completely, check the jar seal. The tops of your lids should be sucked downward and not click when pressed. Any unsealed jars should be stored in the fridge and eaten immediately. 12) Label your jars and enjoy! Canned foods will stay tasty for a year or two and remain safe even longer. Always check your seals before eating. Enjoy the Taste of Summer – Anytime, Anywhere! With home canning, you can hang onto those feel-good summer vibes all year long. This winter, you may not be basking in the sun, but you sure will be soaking up summertime veggie sweetness. For more inspiration, you can check out these canning recipes at Whole Foods. You can pick up a pressure canner at Bed Bath & Beyond and Walmart. To save money, check out our Bed Bath & Beyond discounts and Walmart discounts. There’s nothing like a creamy, salty, freshly whipped bowl of guacamole. Add some warm tortilla chips to this classic appetizer, and you have a dish sure to please any hungry guest. While guacamole is a treat you know will be a hit time and time again, the standard recipe isn’t exactly original. With our 3 totally unique guacamole recipes, you will wow your guests with the sweet surprises of these unexpected flavors: bacon, pineapple, and sun-dried tomato! Rich in essential fatty acids and healthy, monounsaturated fats. Supercharged with high amounts of potassium, Vitamins B6, C and E.
High in fiber and a good source of protein (both balance one’s blood sugar levels). Holds a variety of trace minerals that replenish the body when depleted. Traditionally, guacamole recipes contain this rather predictable set of ingredients: mashed avocado, chopped onion, lime (or lemon) juice, salt, and pepper. To spice it up, some add fresh garlic (or garlic powder), jalapenos, diced tomatoes, chile peppers, and/or hot sauce. Now, we’re not saying we’d necessarily turn down a bowl of this tasty tradition, but we could certainly go for some unanticipated, savory additions! Bust out the pita bread, tortilla chips, and tacos! It’s fiesta time. A famous bacon- guac recipe calls for 4 strips of bacon. To cut down on the fat content, you can use 2 minced strips and still keep the flavor. Add to 3 mashed avocados: ½ tbsp fresh cilantro, ½ cup cotija cheese, 1 tablespoon of finely-chopped serrano chile pepper, juice from 1 lime, coarse salt and freshly-ground black pepper. Serve with soft flour tortillas, chips or pita bread. This tropical dip adds a tasty touch to your summer picnic buffet. Add to 2 mashed avocados: ½ juiced lime, 8 oz. can crushed pineapple, and ¼ cup minced cilantro. Mix all ingredients and sprinkle on a dash or two of sea salt. Try spreading it on a bagel, dipping tortilla chips into it, or adding it to a veggie pita sandwich. This recipe, known as “California guacamole,” has a hint of Italian flavor. Add to 4 mashed avocados: 1 tablespoon white wine vinegar, 2 tablespoons shredded fresh basil leaves, and 1/3 cup parmesan cheese. Add ¼ cup sun-dried tomatoes packed in oil (but drain and chop them before you mix them into your guacamole dip). Optional: sprinkle in toasted pine nuts and 1 ½ tablespoons dried basil in place of the fresh leaves. Throw on a pinch or two of sea salt. Enjoy it with Italian bread, chips, or pita bread. If you’re loving these unconventional recipes, check out Amazon, Barnes & Noble, and AbeBooks for cookbooks that include new and fresh ways to make guacamole. (Find Amazon discounts, Barnes & Noble discounts, and AbeBooks discounts here). Nothing says U.S. independence like quirky town parades, booming fireworks overhead (or in your driveway), patriotism as a valid excuse for daytime boozing, and loads of red-white-and-blue 4th of July desserts. Now, we get it: you’re already 100% decked out in stars and stripes from your bikini, tank, and shorts to your sandals, tote, and nails. Who has time for decorative dessert? Hear us out. What’s the fun of 4th of July if it’s not to go excessively overboard on patriotism? Come on now… your neighbor has 5 flags and a celebratory welcome mat. Don’t let her one-up you. Here are 7 creative 4th of July desserts fit to impress dear old Uncle Sam. We think the best Independence Day desserts should match our clothes: red, white, and blue! Wow your guests with this artistic, mouth-watering, fruity & creamy cake. Prepare the cake mix as indicated. Once baked, allow to cool. While cooling, use a mixer to blend the powdered sugar, whipped topping, and cream cheese together. Use this to frost the cake. 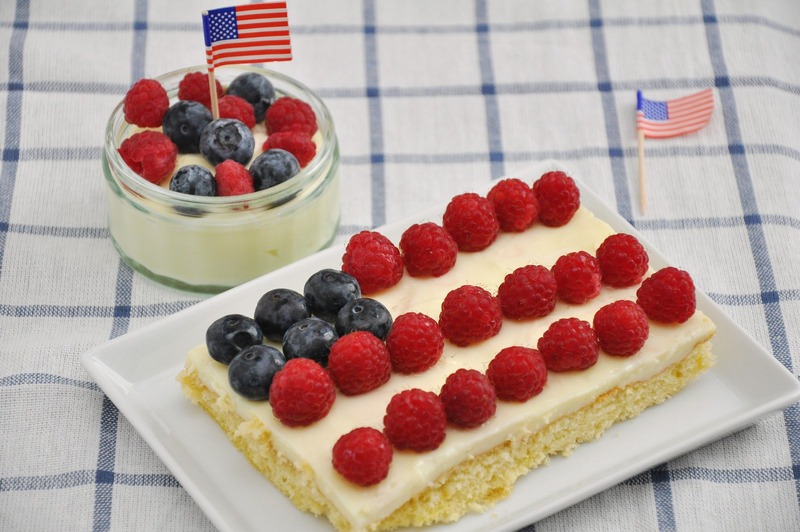 Decorate the top with blueberries and raspberries to model the American flag. Firework shows are a classic 4th of July favorite, so you better add these to the assortment! Bake or open your cookies and frost them. Sprinkle with the sprinkles then the Pop-Rocks. With each bite, there will literally be an explosion of taste! Holiday eating doesn’t have to end with bloating and regret! These healthy 4th of July desserts never sacrifice flavor. This fruit salad is super simple to whip up and always a hit. Mix the blueberries and strawberries together. Cover in sugar and lemon juice. Slice the banana, mix with the other fruit, and garnish with a bit of whipped cream. In a matter of minutes, this popular dessert will be ready to go. Use plastic punch cups and layer the fruit between the whipped topping. Alternate blue, white, and red. Top with a dollop of whip and keep it cool for best results. 4th of July Drinks Count, too! Who says sangria isn’t a dessert? Not us. Fill with everything but the club soda and allow it to refrigerate overnight. To serve, fill glasses with ice then fill 2/3 of the way with sangria. Top with club soda, stir, and sip! Whether you have your own little munchkins or your cousin is bringing over her 3 high-energy kids, you’d better have some treats to keep them happy and entertained! This treat may be at the kids table, but don’t be surprised if adults start picking them up, too! Fill a third of each cup with blue drink. Freeze for about 40 minutes. Mix the whipped cream and yogurt together. Remove the cups from the freezer and fill the next third with the white mixture. Place a popsicle stick in each cup, freeze for about 40 minutes then fill the rest of each cup with the red drink. 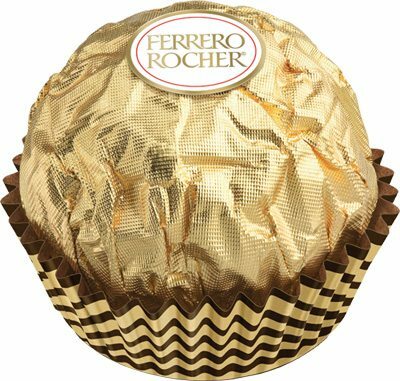 Freeze until solid, tear the cup away and enjoy! Kids love this cute layered drink! The trick here is to layer the drink correctly. Start by filling a glass a third of the way with cranberry juice. Fill with ice until level with the liquid. Slowly pour the next layer, the Sobe Pina Colada, on top. Finally, the G2 Gatorade or alternative blue drink. If done correctly, you will see red, white, and blue layers the kids will adore! 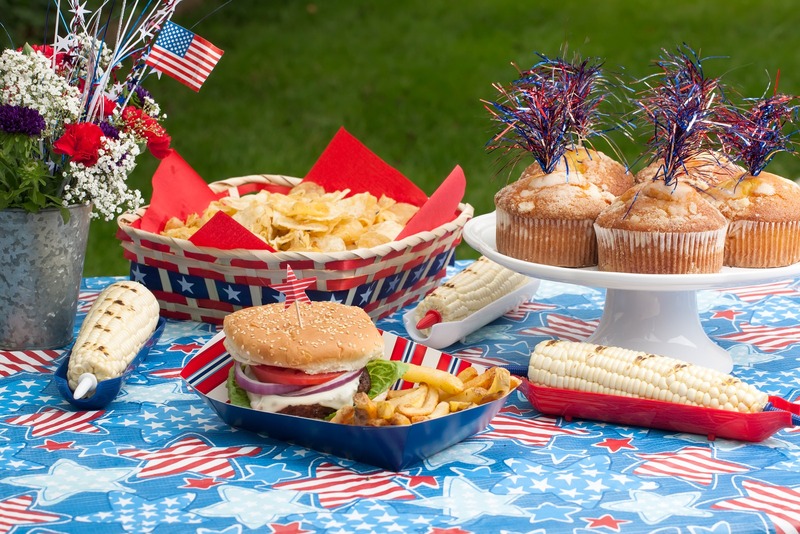 Check out these Pinterest 4th of July Desserts and July 4th Recipes. Happy Independence Day! A solid rotation of healthy crock-pot recipes is every busy cook’s best friend. Let’s be honest, wasting gorgeously perfect summer days slaving away in the kitchen is a serious no-no. Who would you rather be … isolated, loner chef or summer’s most social butterfly? Okay, okay, we might be exaggerating a bit. The point is, a crock-pot is your solution to cooking delish meals while never missing a moment in the sun. We have 6 reasons this handy cooking device is a worthy kitchen sidekick. Preparing for a classy garden party, but your friends relentlessly insist you join them at the beach? Stop being stubborn already and ditch the apron! With these healthy crock-pot meals, you can quite literally toss in all ingredients and walk away. Mmmm, pulled pork. You have GOT to try this! Rub about 4 pounds of pork roast with salt, pepper, garlic powder, and a little brown sugar. Add chili powder for a kick! Chop 2 onions and place around the roast. Can of dark beer poured onto the roast will result in a nice traditional flavor. Can of pineapple juice can be substituted for a fruity Hawaiian taste. Cup of apple cider vinegar can be used for a tart taste. Cook everything on low for 6 to 7 hours. Use a fork to shred the meat and remove any bones. Mix in your favorite BBQ sauce and let it cook on low for 1 more hour. Serve your pork on delicious potato rolls. This healthy crock-pot recipe serves 10-12. When you think of chicken soup, you may picture frosty, stormy nights and a cold (perhaps runny) nose. Hear this: chicken soup is not limited to winter meals and sick-day sipping. Add a twist of lime, wedge of avocado, and dollop of sour cream for an instant summer soup hit! Place 2-3 chopped chicken breasts into the crock-pot. Add chopped green chile, a can of beans, corn kernels, chopped tomato, onion, garlic, and a pinch of your favorite spices. Pour 2 cups of chicken broth and 1 cup of water on top. Cook on low for 7-8 hours. Squeeze at least 2 large limes into the soup and add a handful of cilantro. To serve, pour into a bowl over tortilla chips. Sprinkle some shredded cheese on top. Sliced avocado and a big spoonful of sour cream served as garnish completes the meal. This simple & healthy crock-pot soup serves 4-5 people. This recipe is ridiculously easy. Other than utter laziness, you have no excuse to skip it. Rub down the 3-4 pounds of ribs with salt, pepper, garlic powder and a little chili sauce. Place in the crock-pot with about 1/2 cup of dark beer. Cover the ribs in barbecue sauce and bake at 350 degrees for just long enough that the sauce starts to caramelize. This healthy crock-pot meal serves 6-7 people. If you don’t love Mac and Cheese, there’s probably something wrong with you. This all-time favorite is virtually painless to prepare. Coat the crock- pot in non-stick spray. Mix 3 cups of milk with 3 cups of shredded cheddar cheese. Add 1 beaten egg. Season everything with salt, pepper and paprika. Pour this over 1 box of macaroni in the crock-pot and add a tad more cheese on top. A tangy breakfast treat that is so simple to complete. Try cooking it overnight for a quick breakfast the morning of that camping trip. Delicious and healthy crock pot breakfast recipes can be a pain to find, but this one is a winner every time. Pour 2 cups of steel-cut oatmeal into the crock-pot. Add 6 cups of water and a pinch of salt, as well as a ½ cup of brown sugar. Try a pinch of cinnamon for extra sweetness. Stir well and let cook on low for 8 hours. Before serving, stir in about a ½ cup of whole milk and top with a healthy portion of seasonal berries. Then there is the beloved chili bowl. This ever-popular crock pot healthy dinner is a picnic food classic! Add 2 pounds of ground beef to 2 cans of tomato sauce in a crock-pot. Chop up a large onion, a bell pepper, and a couple cloves of garlic. Add them to the pot, along with 2 cans of your favorite beans. Pour a ½ cup of water or broth on top. Season everything with a mixture of salt, pepper, chili powder, garlic powder, brown sugar, and cumin. Stir well and let cook on low for at least 8 hours. Serve with a dollop of sour cream and some shredded cheese on top. This will easily serve 8-10 people. TIP: Find crock-pots at Sears, Walmart, and Macy’s. Some suppliers, such as Amazon, will even deliver fresh ingredients to your doorstep! Make these healthy crock-pot recipes a summer staple! We might just make these dishes the only meals we prepare all summer. Berry oatmeal for breakfast, chili at the company picnic, and BBQ ribs for the 4th of July party! Done. This season, these scrumptiously healthy crock-pot meals will ensure you never waste a day indoors. You can find more healthy crock pot recipes and tips at Whole Foods or on these Pinterest recipes.